A blend of patchouli aroma and skin enriching ingredients, this vegan friendly handmade soap contains hemp and leaves the skin feeling toned and smooth while added sandalwood gives an earthy fragrance. The natural soap is free from Parabens, SLS and palm oil and has been certified cruelty free by BUAV. Sodium olivate, Sodium cocoate, Aqua, Butyrospermum parkii (shea) butter, Pogostemon cablin (patchouli) essential oil, Cannabis sativa (hemp bran) seed, Pterocarpus santalinus (Sandalwood) Wood Powder. 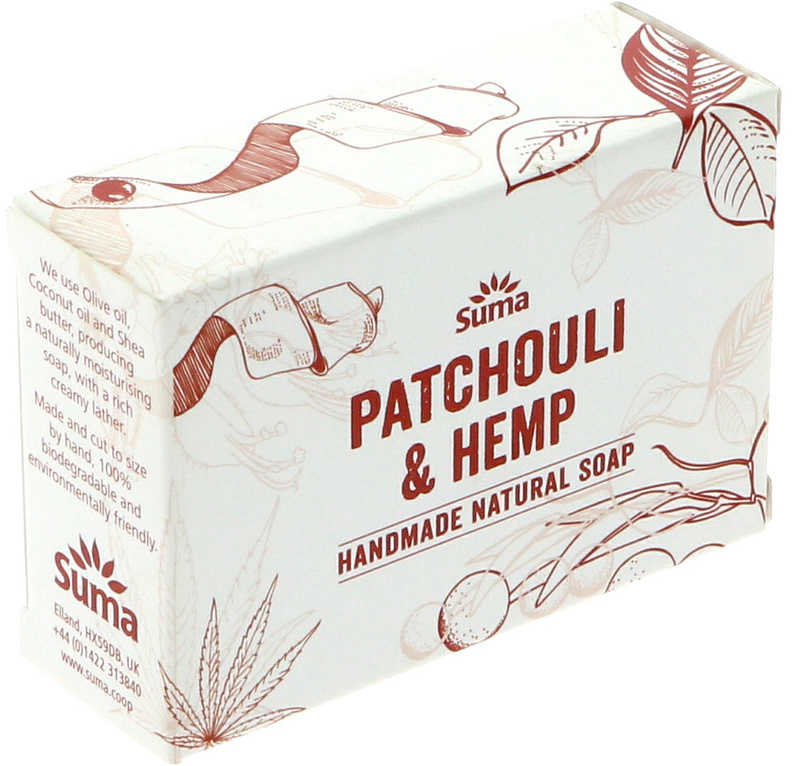 The Suma Handmade Natural Soap - Patchouli & Hemp - 95g product ethics are indicated below. To learn more about these product ethics and to see related products, follow the links below. I am a big fan of Suma soaps. They smell amazing, feel lovely on your skin and are completely affordable. The patchouli & hemp soap smells and feels great. 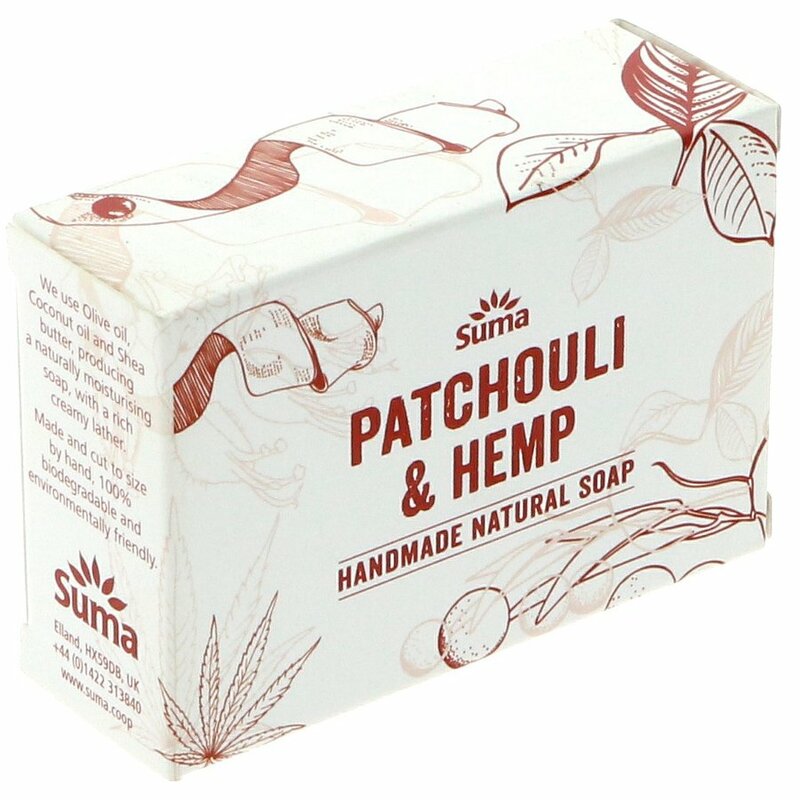 There are currently no questions to display about Suma Handmade Natural Soap - Patchouli & Hemp - 95g.